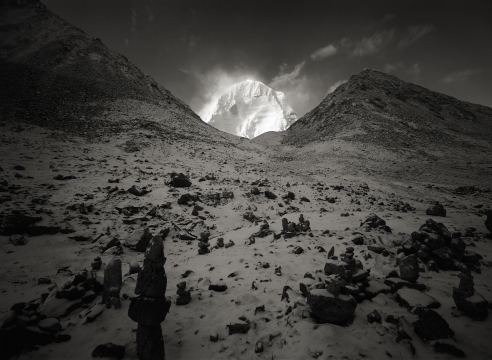 Howard Greenberg Gallery is pleased to announce the exhibition of Kenro Izu: Stillness featuring the large scale carbon pigment prints by the contemporary photographer Kenro Izu. 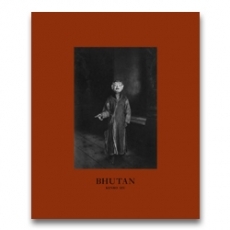 Coinciding with this exhibition is the much anticipated release of the book, Kenro Izu: Bhutan from Nazraeli Press. Work from Bhutan, Izu's newest series, will be featured in the south gallery. Kenro Izu began taking photographs of his native landscapes of Osaka Japan as a teenager and then went on to study photography at Nippon University of Art in Tokyo. Izu came to the United States in 1972 when he was 21 and opened his own still life studio in 1975 which he still operates today near Rhinebeck, New York. In 1979 Izu began photographing the ancient pyramids and landscapes of Egypt. In 1984 a grant from the National Endowment of the Arts allowed him to continue shooting the pyramids and to begin his series on sacred places around the world. Izu has spent his life committed to photography and perfecting the craft of printing.